After careful deliberation, the board at KGC have decided to replace their old and problematic ‘Red Pave’. In multiple areas around the course, this covers approximately 1500m2. 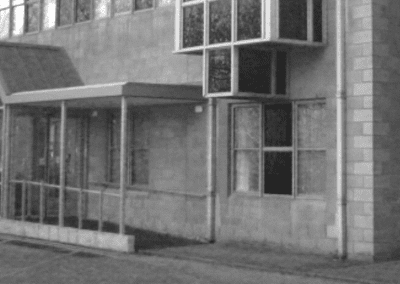 The ‘Red Pave’ pathways posed a constant source of issues from water damage and constantly needed rebuilding. This was time-consuming and subsequently expensive for maintenance. 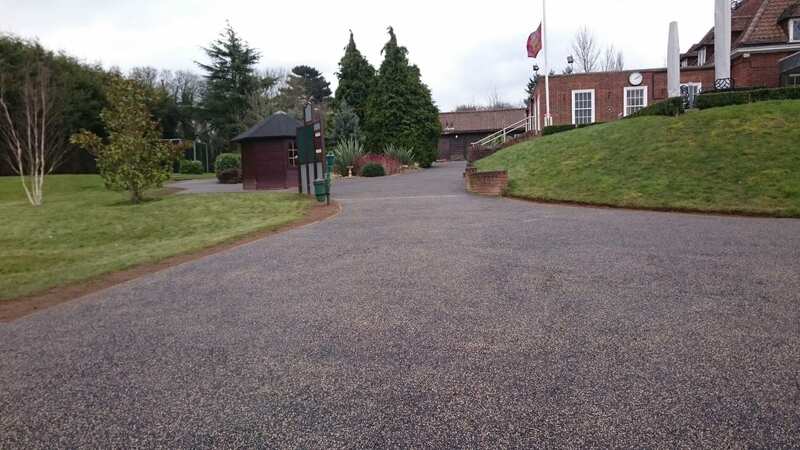 KGC has chosen a bold new paving solution to improve not only the look and presentation of the whole area but provide much-needed relief from the constantly repaired ‘Red Pave’ and give control to the club over the wear and tear of these aesthetically important areas. The brief was a paving surface that in their words “Performs much better in the changing climate, looks more pleasing, is more representative of their club, is kinder under the feet of golfers and doesn’t disappear down the first and tenth holes following major downpours of rain”. Having received a number of presentations by providers of suitable surfaces, KGC chose to work with BOP Europe Ltd, the contractor arm of Truestrike who had previously built the Driving Range at KGC. 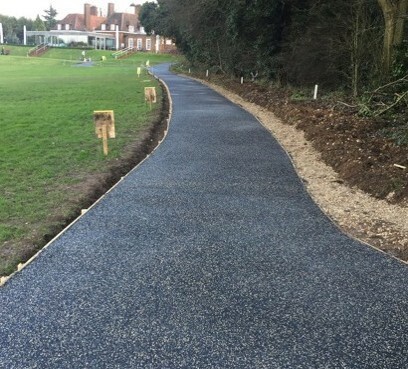 BOP Europe Ltd subsequently approached Trailflex to provide an innovative solution to the Clubs Pathway issues. 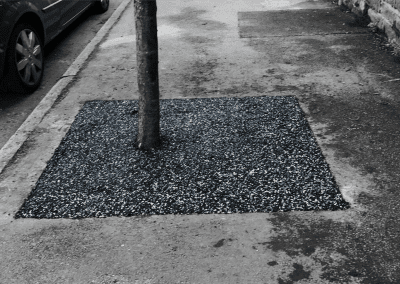 Trailflex uses recycled car tyres and stone bound together with polyurethane resin to create one of the greenest paving solutions on the market today. 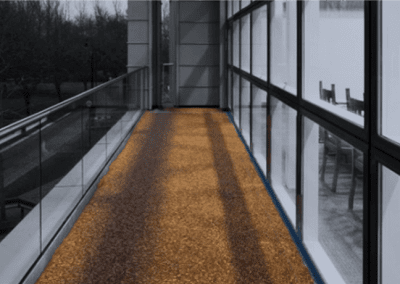 It is a flexible porous paving that will allow water to pass through the surface rather than running down the pathways. It will not clog and requires virtually no maintenance once installed.